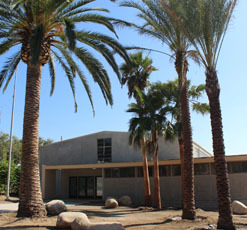 The Wende Museum is now open to the public in its new home at the Armory on Fridays, Saturdays, and Sundays. Admission is free. Come visit! 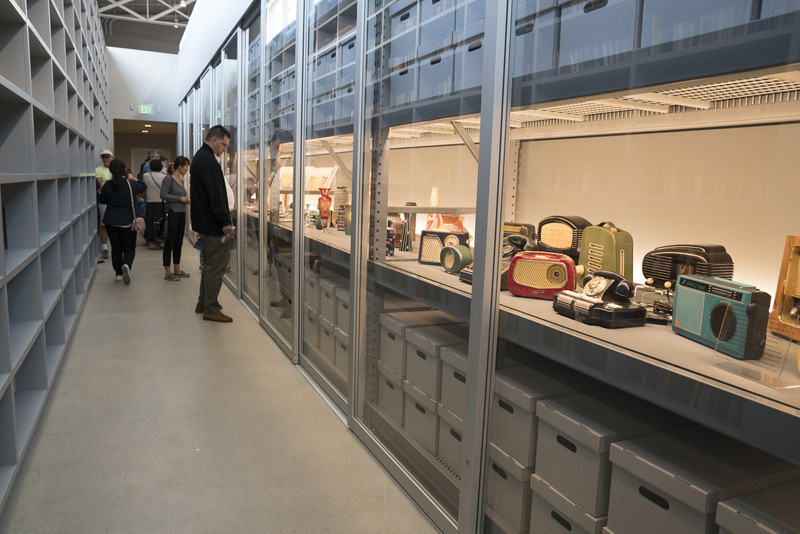 The Wende’s new facility will provide more effective access to our collection, present thought-provoking programs, and anchor a mile-long stretch of arts venues along Culver Boulevard, connecting the cultural corridor with the downtown arts district and the 405 freeway. 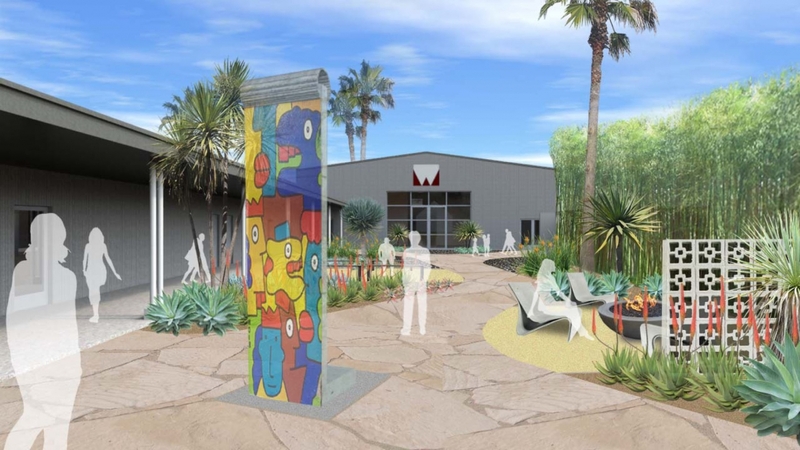 The eco-friendly restoration of the building and its surrounding property will greatly enhance the community by activating an abandoned facility and converting open land into a community gathering space with drought-tolerant landscaping and sculptures from the collection. Please consider becoming an individual or corporate sponsor for the Armory renovation. 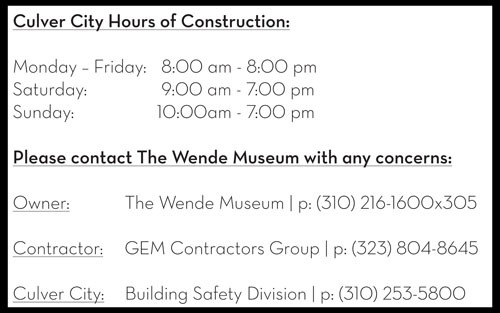 Send your check to The Wende Museum, Development Department, 5741 Buckingham Parkway, Suite E, Culver City, California 90230, or contact Jessica Hoffmann at (310) 216-1600 Ext. 301, jhoffmann@wendemuseum.org, for information on in-kind donations of needed equipment. 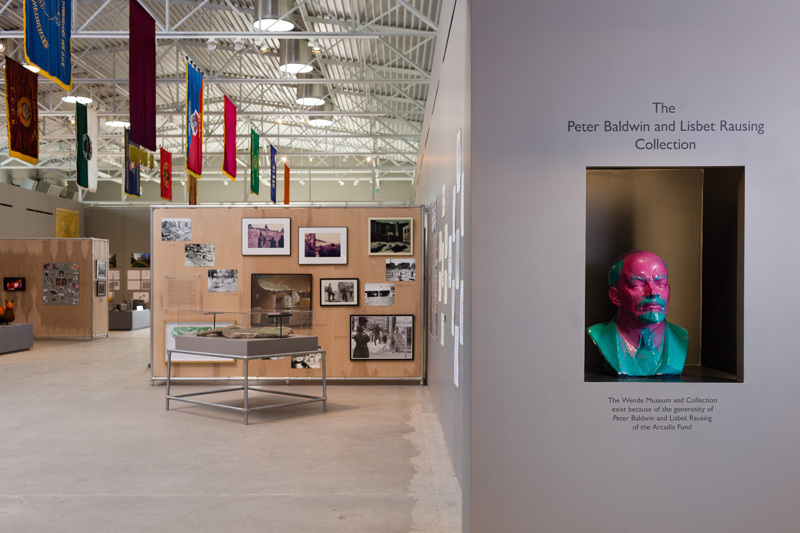 The renovation and move are a giant step for the Museum and the community and will continue to expand on the Wende's vision of open access and innovative exhibitions that fuse art, history and contemporary interests. Thank you to our partners and sponsors who are generously giving their time, expertise and resources to make this project a reality.